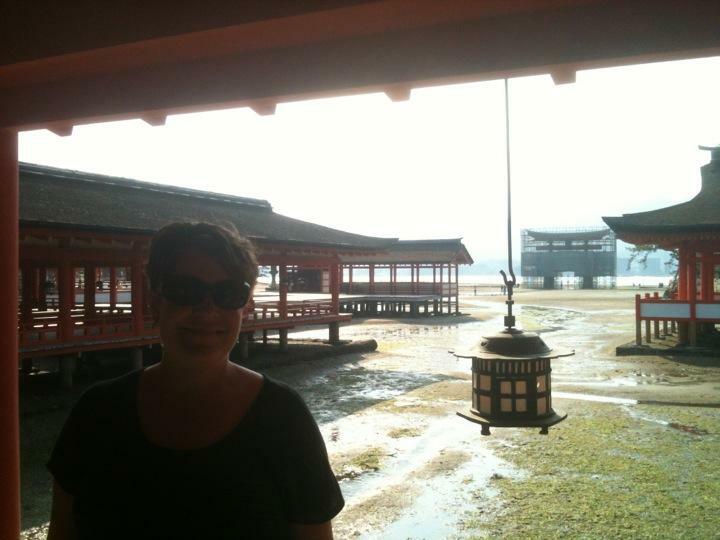 We had a short train ride and a quick ferry trip to the lovely island called Miyajjima, south of Hiroshima. It is called one of three lovely views in Japan. We are staying in a lovely little inn which is close to the water and to the notorious Torii which is in the middle of the bay. Unfortunately the large red arch was damaged in a typhoon and is under renovation so we could not see the whole thing. But there is a beautiful temple right on the water looking out over the bay. There is a five story pagoda as well as some lovely stone lanterns along the boardwalk. Did I mention the deer? There are a lot of deer here just wandering around and occasionally coming up to you. We are about to enjoy a traditional Japanese dinner at our Ryokan. More to come tomorrow!